Jessica is originally from Sudbury and graduated from Laurentian University with a B.Com. in 2011. She then attended the Programme de droit canadien at the University of Ottawa Faculty of Law and received both a J.D. and a LL.L. within three years. 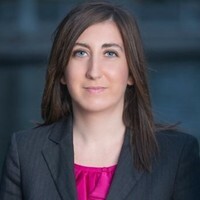 Jessica was called to the Ontario Bar in 2016. She practices in the area of family law in French and English. She is a member of the Carleton County Law Association and the Law Society of Ontario.